Blades. Sometimes you forget to buy them. And sometimes you forget to change them in time. We get that. That’s why we created BoldkingRepeat. 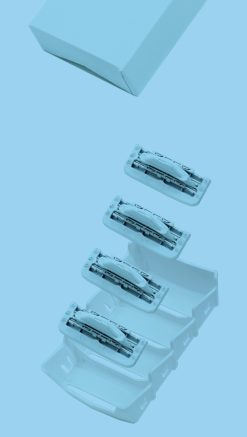 Refill blades delivered when you need them. Everything fits through the letterbox, so you won’t have to stay at home. Nothing is fixed. We all change our minds. So if you need to postpone your order, you can. You're in control with BoldkingRepeat. Painless prices. Enjoy at least 15% discount on most products.